Thoughts from a Traveling Tech: Happy April 1st. Traditionally this is the day celebrated by pranksters great and small. The one day that you can pull a prank and not be ostracized for doing so. Today Google announced that they were closing YouTube and launching a site called Google Nose. 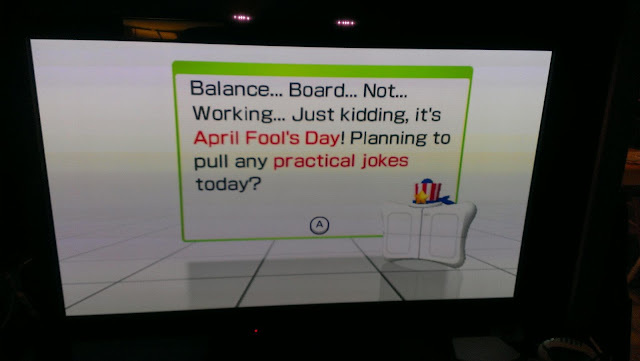 Today my wonderful wife fitted up the Wii and loaded Wii Fit for her daily workout. Today Nintendo got in on the fun and pranked her as well. Well played, Nintendo, well played.